Exclusive! The body of wealthy businesswoman Elizabeth Jones has been found in Badger's Drift, and the police suspect foul play. Nine Midsomer County locations have been identified as potential crime scenes. A long list of local suspects will be interviewed. Can you help the Causton CID solve this baffling crime? 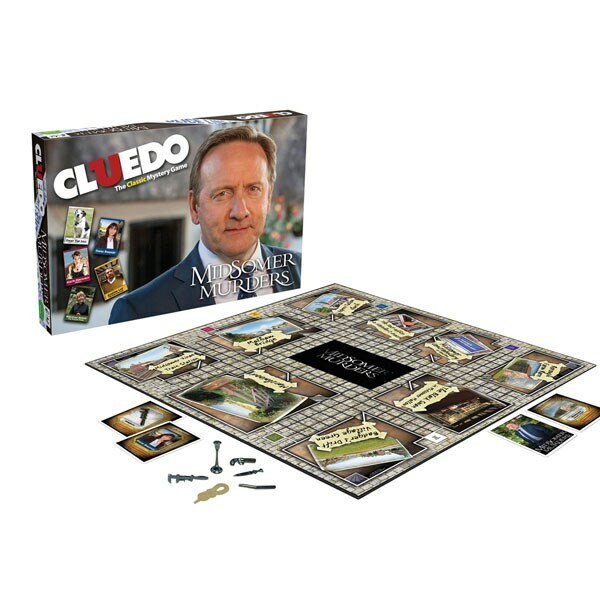 Based on the long-running hit British television series, this board game is challenging fun for 3-6 players ages 8 and up. "Cluedo" is the British name for the game Americans call "Clue."